We are child development experts, who believe that all hospitalized children and families should have access to psychosocial care, to minimize the stress and anxiety of healthcare experiences. Ms. Holly Clark is dually certified as a Child Life Specialist and Therapeutic Recreation Specialist, and is a Co-Founder of Pediatric Potential. Holly served pediatric patients with hematology, oncology, and acute medical rehabilitation needs for over twelve years as a Certified Child Life Specialist. Amid her tenure as a clinician, she provided a variety of psychosocial care interventions, led community re-integration programs, implemented support groups, and cultivated external donor and partner relationships. In her most recent leadership position, Ms. Clark implemented Qatar’s first sustainable Child Life Service, and directed pediatric psychosocial care for the state’s public healthcare system for over four years. While in Qatar, she successfully advocated and co-authored professional licensure requirements for the Child Life Specialist, which are officially recognized by the country’s Ministry of Public Health (MOPH). 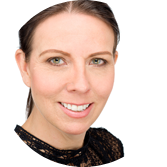 Holly’s global expertise spans from America, India, South East Asia, Africa and the Middle East. For the past eight years, she has dedicated her career to promoting culturally responsive psychosocial care, as a professional consultant, governing board member, researcher, guest lecturer and medical mission volunteer. Ms. Clark holds a Bachelor's degree in Management and Marketing from the University of Oregon and a Master's degree in Recreation Administration with concentration in Therapeutic Recreation from San Francisco State University in the United States. Ms. Jeanine Clapsaddle is a Certified Child Life Specialist and a Licensed Marriage and Family Therapist, and is a Co-Founder of Pediatric Potential. Jeanine served pediatric patients with oncology, hemophilia, thalassemia and other chronic conditions for over two decades as at Certified Child Life Specialist. During this time, she provided hands-on services to patients and families including medical education, procedural preparation and support, legacy and bereavement services, and reintegration to home and school life. In her current assignment as a Clinical Supervisor, Ms. Clapsaddle leads an interdisciplinary team of Child Life Specialists, Child Life Assistants, Recreation Therapists, and Music Therapists. Within this role she promotes clinical skill development, collects data for program growth, participates in research studies, collaborates to develop new patient services, fosters donor relationships, supervises and mentors students and partners with organizational administration to facilitate optimal patient and family services. Jeanine’s global engagements range from America, India, South East Asia and Africa. She co-led the development and implementation of the first accredited Child Life internship outside of North America, has provided hands-on child-friendly healthcare practices for medical staff to improve patient and family experiences, lectures internationally on psychosocial factors impacting pediatric patient healthcare outcomes and provides support and oversight to a flagship Child Life program in India. Ms. Clapsaddle holds a Bachelor's degree in Human Development from Stephens College and a Master's degree in Counseling Psychology and Marriage and Family Therapy from the University of St. Thomas in the United States. Mr. Justin Petkus is dually certified as a Child Life Specialist and Family Life Educator, and is a Co-Founder of Pediatric Potential. In 2018, he was named Family Life Educator of the Year by the National Council on Family Relations (NCFR) in special recognition of his research and practice, and in 2019 The Association of Child Life Professionals (ACLP) recognized Mr. Petkus as the annual research award recipient. Justin served children and families in both clinical and prevention based education roles within hospital and community settings. He has participated in program development, research projects, educator, and leadership development opportunities within these settings. Ranging from North America, South East Asia, and the Middle East, Mr. Petkus has experience providing culturally responsive care to pediatric patients and families. In his latest assignment, Mr. Petkus co-implemented the first sustainable Child Life Service in Qatar, where he integrated pediatric psychosocial care practices into multiple systems of care within the state's public healthcare system. Justin specializes in advancing outcomes for children and families within the unique cultural contexts of healthcare settings around the world. As an emerging researcher, he served as the primary investigator on a multidisciplinary study in a Middle Eastern pediatric emergency center. Mr. Petkus has presented on pediatric psychosocial care and the impact of adverse childhood experiences on the developing brain of the child at international conferences in South America and Europe. Justin is dedicated to fostering networks of resources and support for NGOs, hospitals, and clinics that enhance their ability to strengthen pediatric psychosocial outcomes. Currently, Mr. Petkus is a PhD student in Global Family Health and Wellbeing at the University of Nebraska-Lincoln, and a Visiting Doctoral Candidate at the University of Luxembourg. He holds a Bachelor's degree in Child Development and Master's degree in Human Development and Family Studies from Central Michigan University in the United States. Dr. Morsi is a lead consultant of Quality of Life (QoL) and psychosocial care, who served pediatric, teenage and young adult patients with hematological and oncological malignancies for over ten years in the UK and Qatar. During this time, he provided personalized and tailored cancer, QoL and psychosocial care to cancer patients and their families, led normalizing life programs and headed a community QoL non-governmental supportive program for cancer patients. In his current management position, Dr. Morsi runs multi-disciplinary activities based on a specialized research program, evidence-based practice and state-of-the-art developmental psychology assessment tools. He is bridging the gaps between extreme psychosocial circumstances and psychopathologies so that healthy individuals, who are under severe pressure of extreme life circumstances, can thrive without being labeled and treated as psychological patients. Moreover, he is working to empower teenage cancer patients to take charge of their health conditions and management via employing innovative e-health systems in collaboration with reputable international establishments such as Kingston University in the UK and The Hospital for Sick Children in Canada. Dr. Morsi holds a Bachelor’s degree in Medicine from the University of Alexandria, a Certificate of Developmental Psychology from NVCC in the United States, a Master’s degree in Psychiatry from Cardiff University and a PhD in Molecular Biology from Kingston University in the UK, for which he is also affiliated. He has authored books, articles, offered presentations and provided strategic workshops in medical and social studies in both English and Arabic. 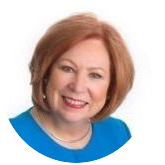 Ms. Sheila Palm is a Certified Child Life Specialist and has been involved with the Association of Child Life Professionals (ACLP), formerly the Child Life Council, as a Past-President, Past-Treasurer, and Executive Board Committee Member. Her service to the ACLP includes strategic planning, academic and clinical standards, certification, financial management, international relationships, membership initiatives and child program review and development. Sheila served as the Manager/Director of the Child Life Department at Children’s Hospitals and Clinics of Minnesota for over forty years. After completing her child life internship at Johns Hopkins Children’s Hospital, she led the Minnesota child life program in a multi-campus pediatric organization including two pediatric hospitals, a surgical center, community-based hospitals, and self-standing emergency services. Music therapy, the healing/expressive arts, and sibling programming are vital components within this sixty-member child life department. She retired from this leadership position in 2018. Sheila’s interest and support for developing and strengthening international pediatric psychosocial services grew from her clinical practice and work experience. As a founding board member of The Priyanka Foundation, Sheila supports the work of Pediatric Potential in advancing and achieving its mission for children and their families in a global world. Ms. Palm holds a Bachelor’s degree in Child Development and Family Relationships from Colorado State University and a Master’s degree in Human Developmental and Counseling from Saint Mary’s University of Minnesota in the United States.